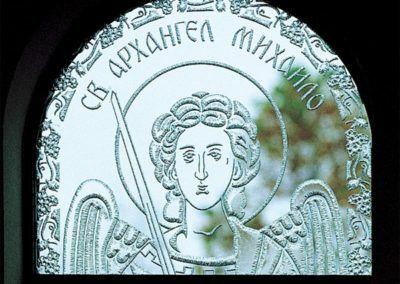 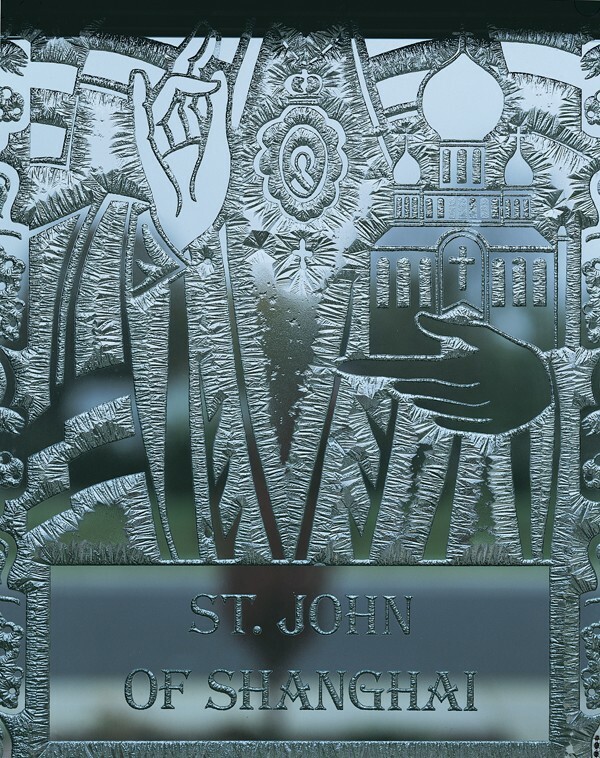 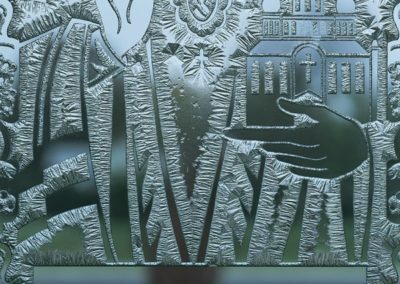 To design and fabricate twenty-two art glass windows depicting Serbian Saints to enhance the worship environment of the new, traditionally styled Serbian Orthodox church for St. Archangel Michael in Lansing, Illinois. 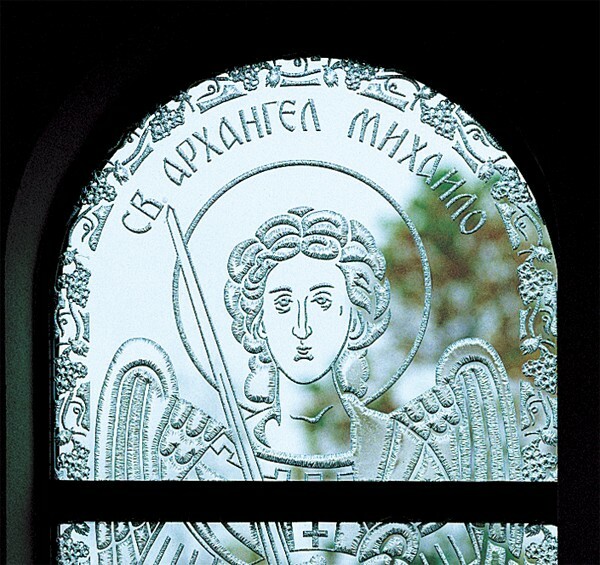 CSS worked with the church to select Serbian saints and create designs that reflect the Orthodox pictorial style and text and bring beautiful, meaningful images to the body of the worship space. 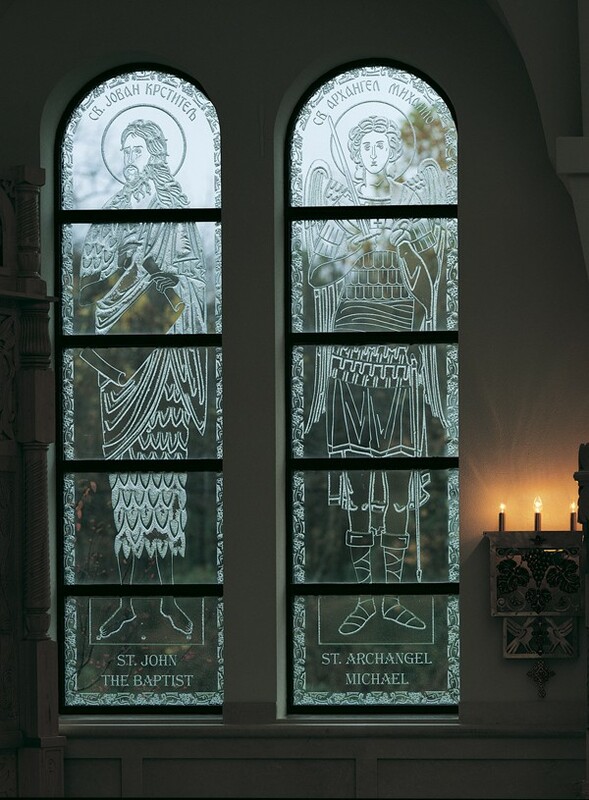 The crystalline, etched glass maximizes natural light and captures light like a jewel-cut gem.